The City of Melton is within a comfortable driving distance north west of Melbourne’s Central Business District. 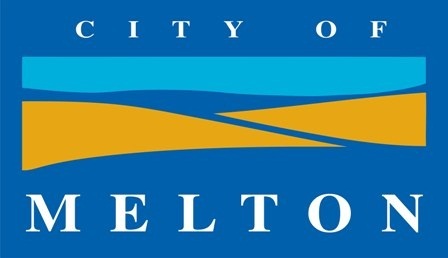 The City of Melton is one of Australia’s fastest growing municipalities offering enviable and unique urban and rural lifestyles. These attractions have underpinned growth of close to 6000 people per annum over the past decade, equating to the addition of around 34 new families per week. The City’s residential population has grown from 52,029 in 2001 to an estimated 140,422 in 2016. Over the next decade population growth is expected to exceed 7800 people per annum. By 2041, it is expected to reach 374,700 residents and when the City reaches its ultimate population it will have more than 400,000 people. New arrivals to the City tend to be young couples with or intending to have young children, making the City’s population one of the youngest in Victoria. The median age of residents was 31 at the time of the 2011 Census and more than 70 per cent of the population were aged under 40 years. Almost half (43 per cent) of all households were couples with children, and each week 42 babies were being born to parents residing in the City. The municipality has a rich history of migration and cultural diversity, beginning with our Aboriginal heritage, and including migration over many decades from countries such as Malta, Italy and Macedonia. In recent years, our diversity has increased to include more than 30,000 migrants from over 130 nations. While our biggest overseas born population remains from the United Kingdom, the fastest increasing overseas-born communities are from India, Philippines, New Zealand and Vietnam. In recent years, the City has welcomed an increase of people from African and Asian nations through skilled migration, family reunion and refugee immigration streams, adding further to the City’s cultural diversity. Migrants and refugees, regardless of when and how they arrived, bring with them a rich array of cultures, languages, skills and experience that add important layers to the fabric of our community. Creating the framework for a harmonious community that recognises and values this diversity has significant social and economic benefits, and is a key commitment of Melton City Council. The Intercultural Plan contributes to Council’s mission to support the growth, wellbeing and aspirations of our community through leadership, excellence and inclusion. It provides a roadmap for Council’s work in the intercultural space. The Plan forms the basis of Melton City Council’s commitment and strategy to ensure that our community is best served to meet its diverse needs, and enable the meaningful participation of all its members. Access Melton City Council Intercultural Plan 2017-2021.